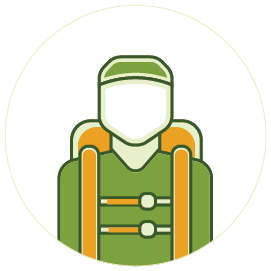 Vazgen is an independent guide working for himself and all those interested in hiking and traveling in and around Armenia. His primary activity is expedition hiking. He’s based in Yerevan. Give him a call to get in touch! Vazgen is a great guide and a wonderful person. It's always a great fun to go hiking with him. He's always showing an exceptional level of attention to his guests, making sure that they enjoy the best Armenia's nature can offer.